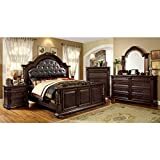 Size: kingmake a bold statement in the master suite with this grand bedroom set. 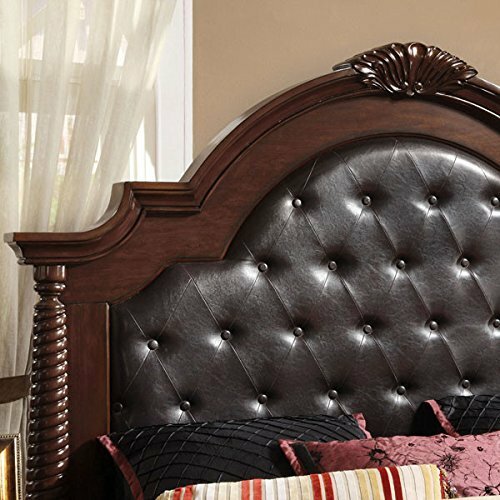 The headboard has a carved frame and is upholstered with button tufted leatherette in espresso. 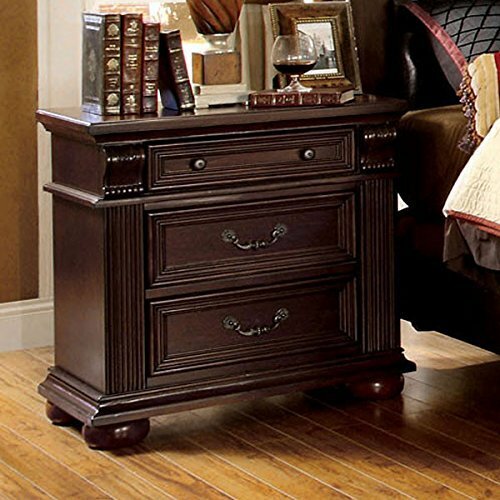 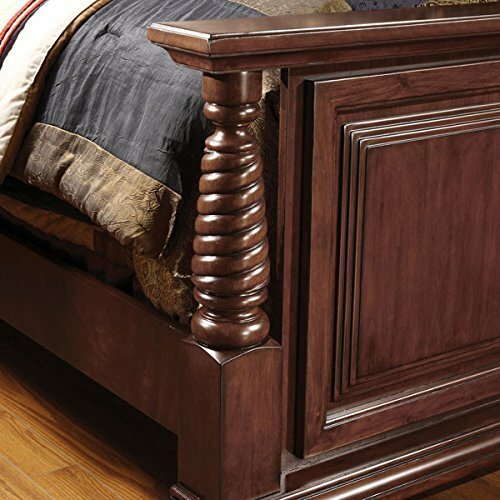 The chest, dresser and nightstand have a matching bold design and antique gold hardware. 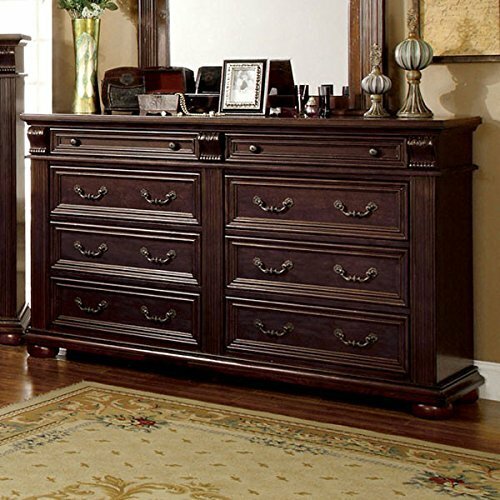 All are finished in a deep brown Cherry.